379 p., 17,6 x 24,5 cm. 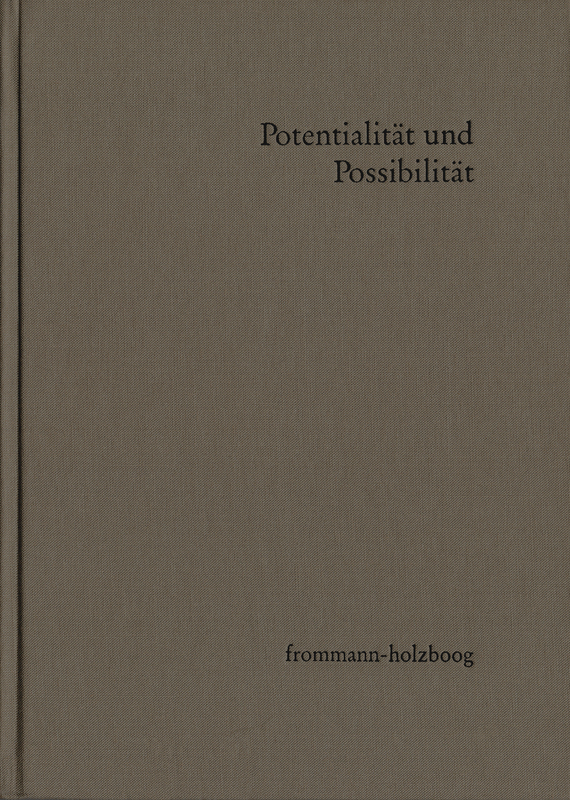 With contributions by Michael Astroh, Allan Bäck, Tilman Borsche, Thomas Buchheim, Klaus Jacobi, Sang-Jin Kang, Matthias Kaufmann, Peter King, Simo Knuuttila, Charles Lohr, Kuno Lorenz, Rainer Marten, Christopher Martin, Stephan Meier-Oeser, Wilhelm Metz, Ulrich Nortmann, Seung-Chan Park, Mischa von Perger, Dominik Perler and Hans Poser. The question of how statements on the abilities of people are related to statements on the potential of conditions in the world is crucial for our human self-understanding. Based on this question, the volume is a collection of completely original essays whose intention is historical and systematic. They deal with the history of metaphysics and ontology from Parmenides to Heidegger.